Todd Collins performs mainly in the northeastern United States, with forays as far as New Mexico, Maine, Scotland, and England. He performs in a variety of settings ranging from traditional and progressive bluegrass (Tom Hanway’s Blue Horizon) to swing (Blueswing Trio), contemporary jazz (his own trios and quartets), acoustic blues (The Booglerizers), rock (The Humphries), and classical. He performs with some of the most gifted musicians in the NJ/NY area. Todd collaborated with guitarist John Carlini in the ’90′s to form the forward-looking acoustic band, Over the Edge. They covered the gamut of musical styles by fusing together traditional bluegrass with jazz, classical, and world music. Their CD received wide recognition and airplay across America. His traditional bluegrass/ roots recording, “Blue Soul”, also received national and international airplay. A CD recorded with John Skehan (Railroad Earth) of classical mandolin duets by Emanuele Barbella was released in the spring of 2009. Collins’ recording credits include film and television, along with recording session work on many CD’s. He was the mandolinist for the Disney film soundtrack “Tom and Huck”. Collins is also a producer who is in demand mainly in acoustic type music and jazz, with commercially released recordings by Over the Edge, The Lost Ramblers, banjoist Terry McGill, singer/songwriter Tom Nieman, jazz/funk group Xochitl and his own “Blue Soul” and “Barbella Mandolin Duets” CD’s and many demos. Todd has been teaching private lessons on mandolin, guitar and clawhammer banjo for over thirty years developing a comprehensive approach. Depending on the student, lessons can include fretboard study, solo construction, improvisational concepts, harmony, sight-reading, solo analysis and developing repertoire. Todd is an associate professor at County College of Morris (CCM) located in Randolph, New Jersey where he established, develops, and coordinates the Music Recording Program. At CCM he has assembled and conducted numerous workshops, seminars, talks, and concerts that included the annual event in April for several years, “Day of Bluegrass”. He teaches the popular American Roots Music class and has taken students on many trips to New Orleans and walking tours of Greenwich Village in New York City. In the fall of 2015, Todd was added to the adjunct faculty at Lafayette College in Easton, PA, to teach lessons on mandolin and banjo. He also gives workshops for guitar and mandolin in the States and abroad. 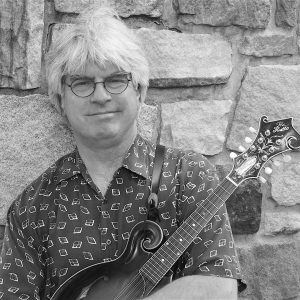 Todd was the mandolin instructor for the “Bluegrass Masters Workshops” at the popular Big Apple Bluegrass Festival in New York City. His first book of Bill Monroe transcriptions titled “Monroe Instrumentals”, was a “best seller” for Mel Bay Publishing and has released three other books for Mel Bay Publishing, “Classic Bluegrass Solos (of Bill Monroe)” (2007), “Fretboard Studies for the Improvising Mandolinist” (2013), and “Modes on the Mandolin: Improving Your Improvisation” (2013). He also released “Absolute Beginners Mandolin” (2007) by Amsco Publishing. Collins has been commissioned to compose works for modern dance companies in the New York/New Jersey area, including Beyond Dance, Inc., the Montclair State University Dance Department, and the County College of Morris Dance Department. Todd Collins earned a Master of Music in Jazz Studies from Rutgers University and a Bachelor of Music from Montclair State University.